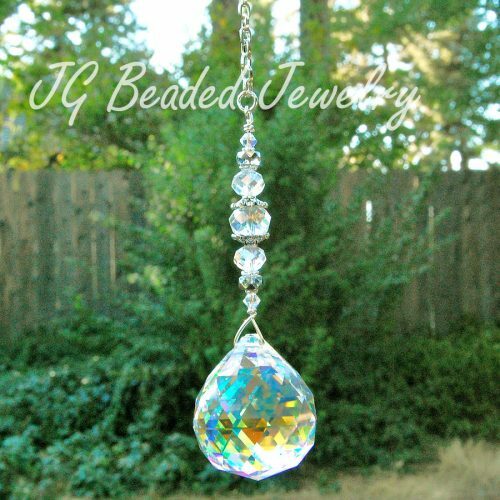 This gemstone moon decoration can be hung on the rearview mirror or in a window at home, the office or anywhere you like! 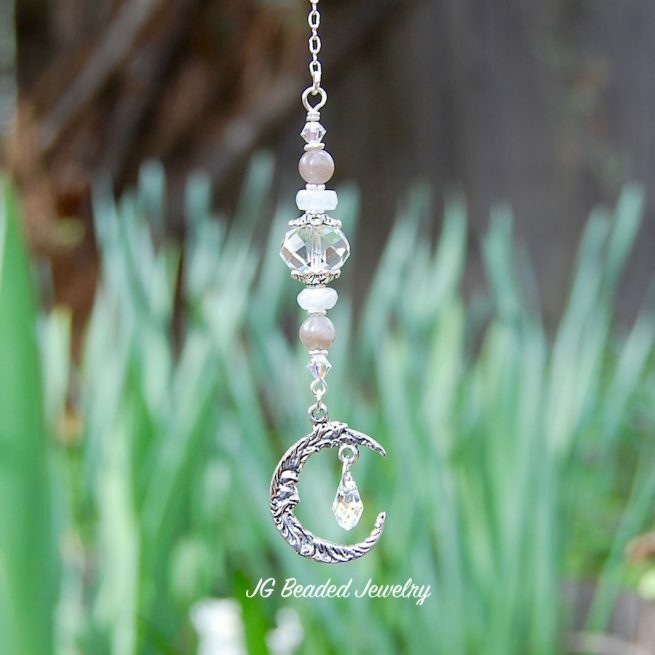 You will find gorgeous hand-cut rainbow moonstone beads, round labradorite gemstones, Swarovski crystals and a 1″ pewter moon charm that has a Swarovski teardrop crystal dangling inside. 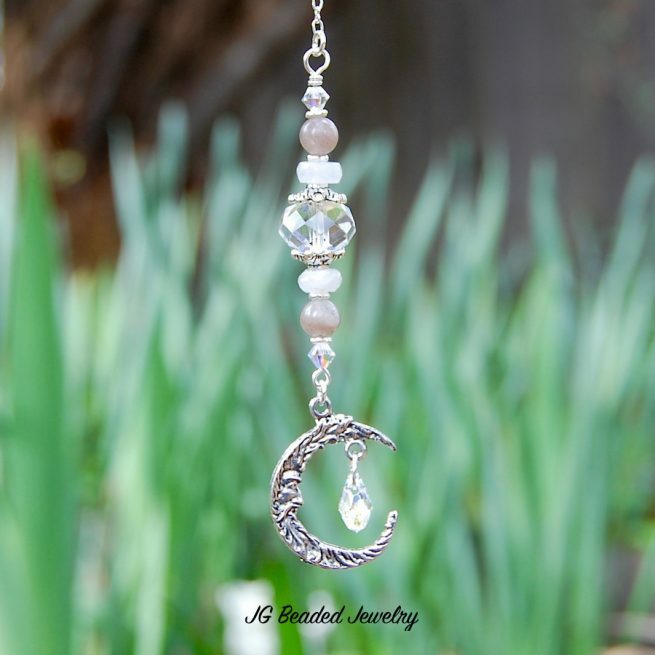 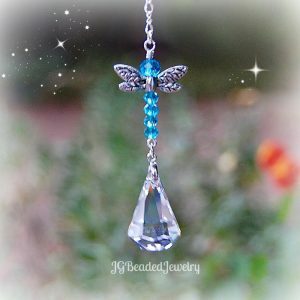 The gemstone moon decoration is approximately 3.25″ and comes on your choice of a silver chain with clasp (for ease of hanging on the rearview mirror) or a 6″ chain with ring at the top for hanging in a window or wherever you choose! The moon is the ruler of emotions, the ruler of tides. 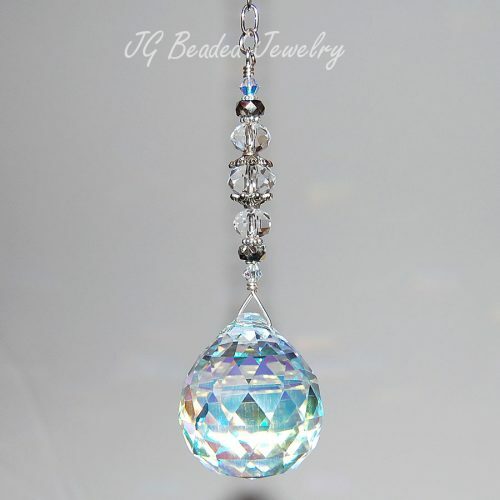 It is associated with the mother, fertility, and feminine energy. 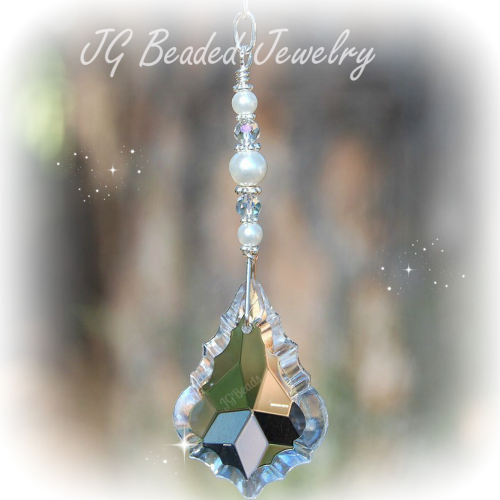 Labradorite stimulates the imagination, is good for patience and self-esteem, it is a mystical and protective stone. Moonstone is used for reflection, insight, harmony and peace.